Electrical power is invisible, depicted only by a bunch of technical phrases and therefore hard to grasp. For all of you, who want to bring some light into the dark, see what's going on in your household and save energy, we have an easy solution. 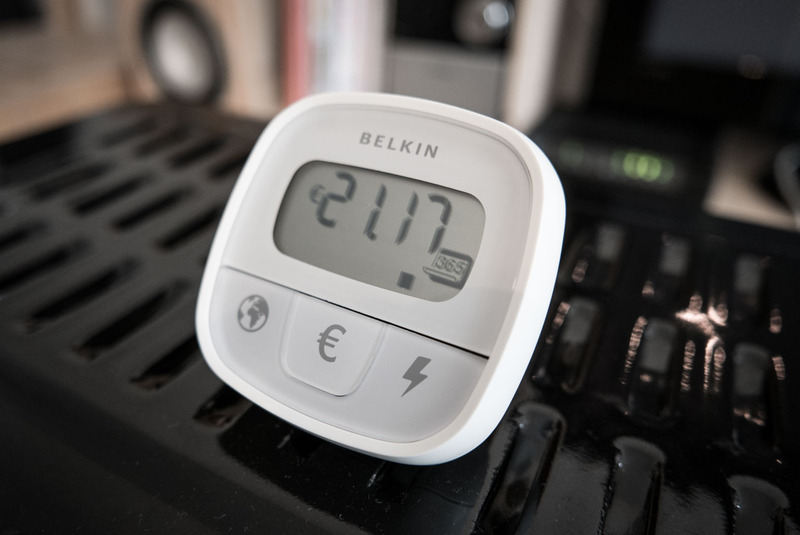 Rent our energy monitor for free (Germany only right now) and instantly see your power consumption, the money it will cost you and how much CO2 output it creates. You will be surprised how much money you can save on things that won't hurt. Ever wondered how much money it will cost you to leave that w-lan router on all night? How about the standby mode of your tv? There are a lot of things that are not in use all the time. They might not consume a lot of power but it keeps adding up. Especially at night when your are sleeping, turning them off will not hurt. My w-lan router for example will cost me 21,17 Euro a year in standby. Turning it off during night will not only cut the costs in half, but help to slow down the continuously growing need for power implicated by our modern society. 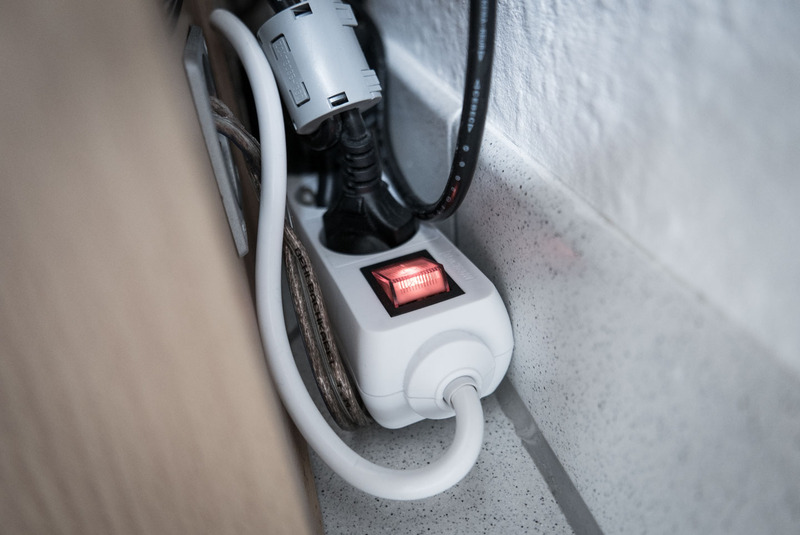 An easy and efficient way to turn of all your standby devices at once is to plug them into a multiple socket with a switch. Hide the socket behind your cupboard and when your are going to bed you can turn everything off with a single flick of a switch. To help everyone understand what's going on in his household we are renting out energy monitoring devices for free. We decided to buy easy to use high class models that will not only show you your usage in watt, but for a better understanding and motivation give you an instant feedback on the real costs and CO2 output. Our devices are plug and play and with the click of a button will show all relevant details. 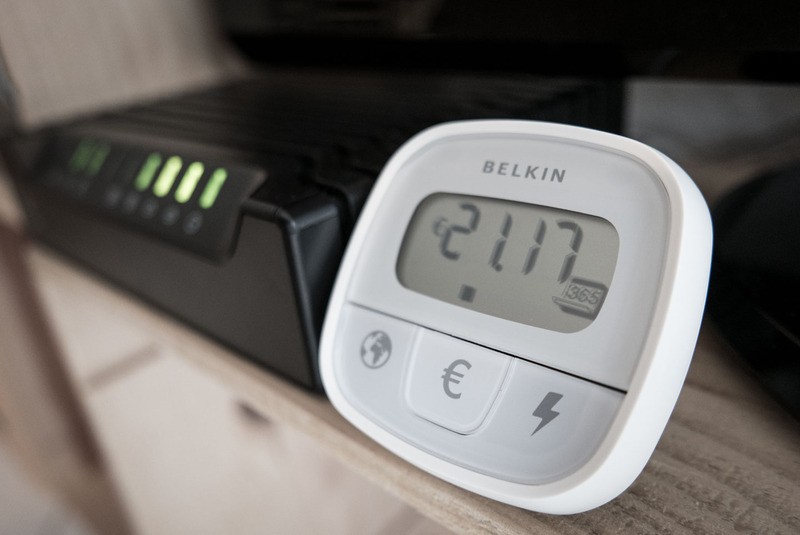 Our energy monitors are really easy to use. They consist of two parts that are connected by a cable. 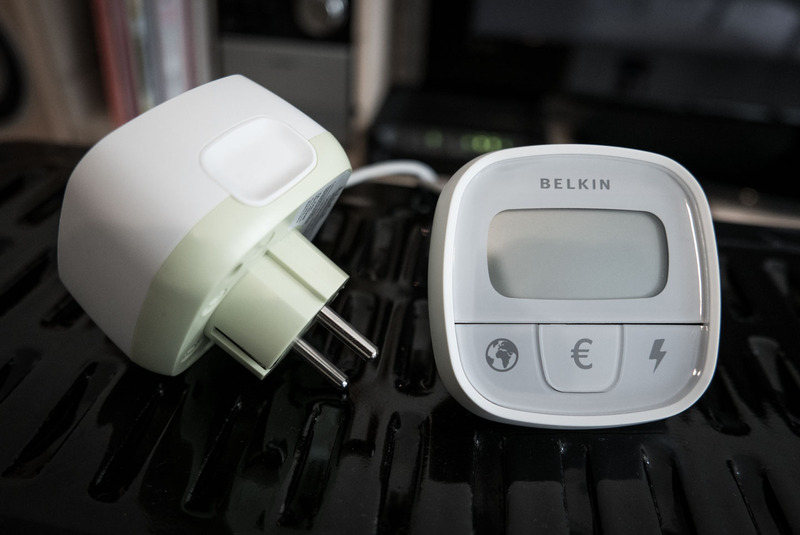 The first part is an adapter that plugs in-between your device and the socket-outlet. The second part is a display that will give you all the relevant information. 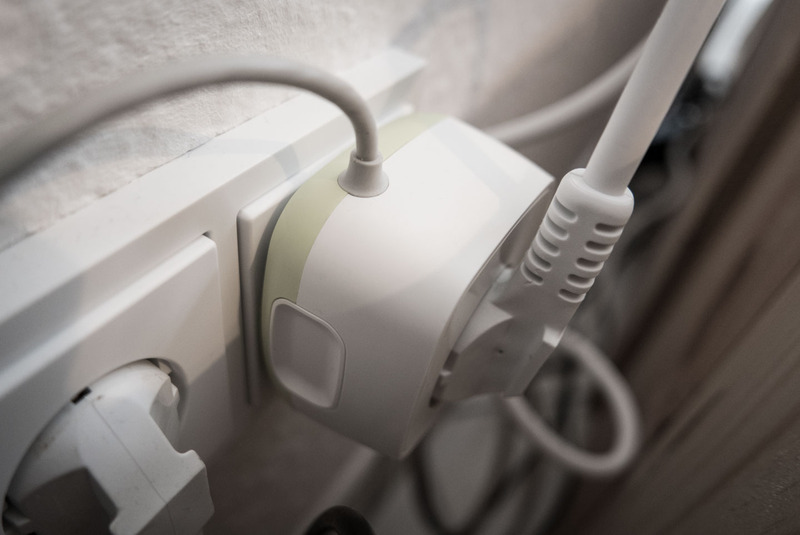 Take whatever device you want to monitor and plug it into the adapter. The adapter than is plugged into the socket-outlet. That's all you have to do. 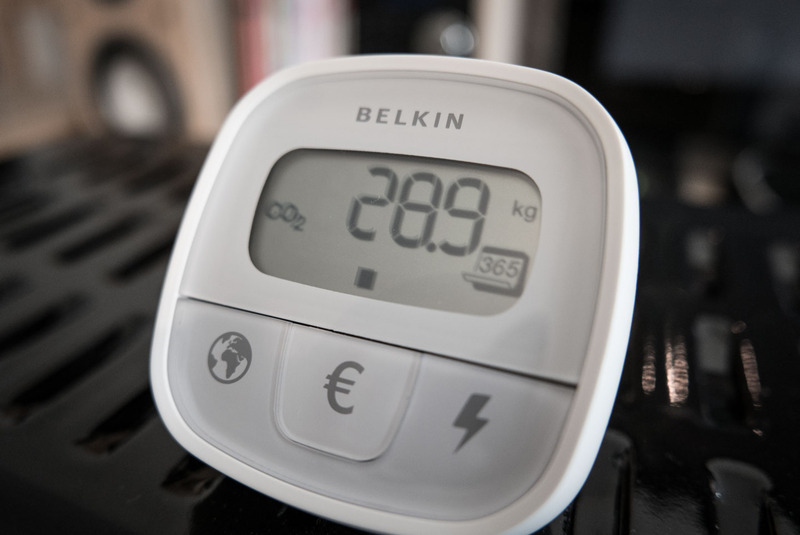 The display will instantly show you live information of your watt, power and CO2 usage. You can even plug multiple sockets into the adapter to see the combined power consumption of all devices plugged into the multiple socket. Once everything is plugged in, click on the earth, money, or watt symbol to get your data. 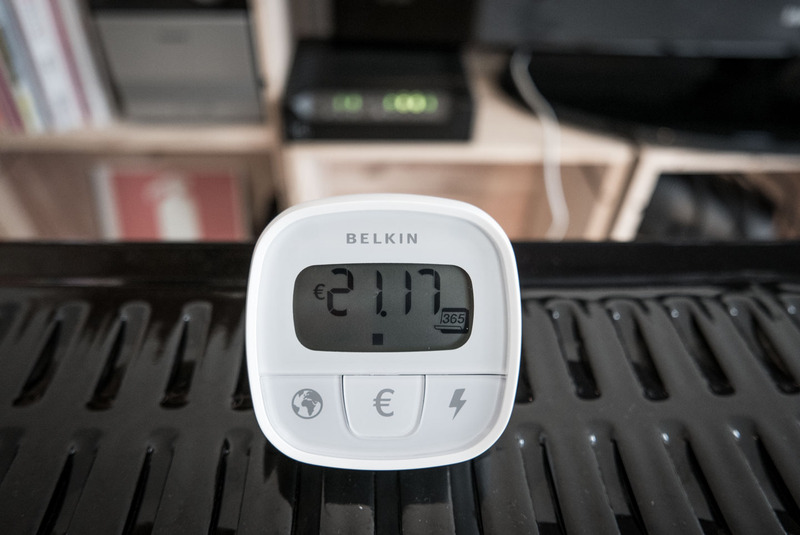 The price for power consumption is set to 28,6 Cent / kWh, which is the current german average. You can easily adjust this value by holding down the money symbol for 3 seconds and than in- or decrease the amount by pushing the CO2 and watt button. This project is especially aimed at people that have never really paid any attention to their power consumption. 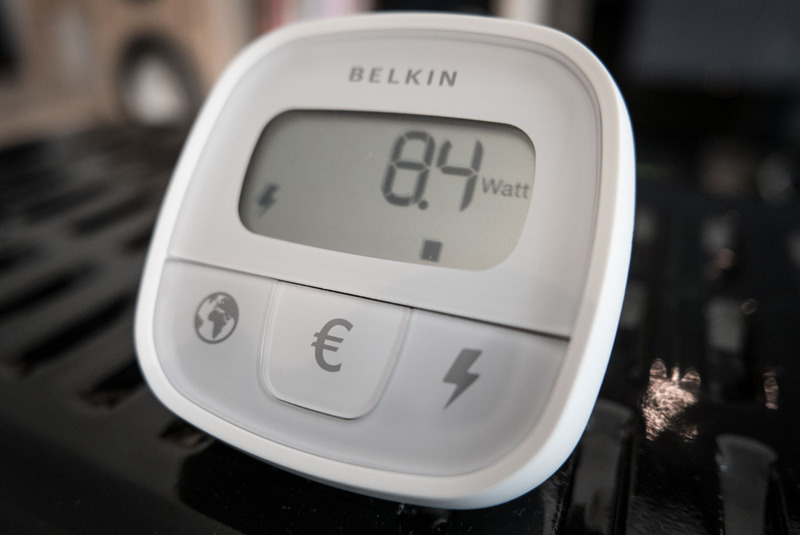 By renting out energy monitors for free, we hope to achieve a greater acknowledgment of what power costs, how much CO2 output it creates and how easy it is to save money without any real impairment. Each person renting one of our devices can keep it for a week and is asked to ship it to the next person on his own expenses (in Germany this will cost 1,90 Euro). This way we can keep shipping time to a minimum and maximize the impact a smart device like this one can have. Unfortunately this project is limited to Germany right now. If you are interested in renting one of our devices or have a device of your own that you want to rent out to other people, drop us a line at www.youkeepustraveling.com. We will constantly update you on the development of this project.